Farming families strengthen our region. 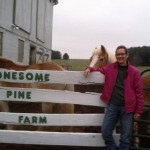 We cherish our region’s working farms for their beauty, their life-giving produce and their traditions. We respect our region’s farmers for their work, for their values, for their sacrifices and for their deep wisdom. We have faith that they will be there for us, and respect their devotion to the land and to the profession. 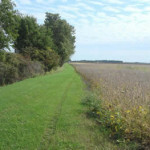 Almost 50 percent of the land in Ohio is classified by the U.S. Department of Agriculture as “prime farmland,” which is the most fertile and productive land in the country. 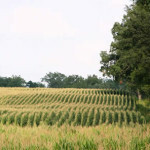 Ohio has the fifth highest percentage of “prime farmland” in the nation. Ohio has lost more high-quality acres of farmland than any state other than Texas. Ohio farmers grow more than 200 crops. Corn and soybeans are the top crops. 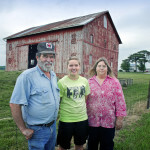 Ninety-one percent of Ohio farms are family farms. Perhaps the worst aspect of farmland loss is that once prime farming soils are paved, they are lost forever. We feel this in Ohio, where more than seven million acres of farmland have been lost since 1950. In a nine-county section of Northeast Ohio, we have lost more than 700,000 acres of farmland since 1950.This is an area equivalent to the size of Cuyahoga, Geauga and Lake counties combined. In the 1990s, Ohio had one of the slowest population growth rates in the nation, but one of the highest rates of farmland converted to urban uses. In 2013, the first comprehensive report on land conservation in northern Ohio found that only 5 percent of the region’s farmland is protected. Common Ground: The regional land protection report for northern Ohio, a publication written and funded by Western Reserve Land Conservancy, determined that 95 percent of the existing agricultural land – property containing some of the world’s richest soils – could be lost to development. Learn more about how we preserve working farms.